If a Tree Falls in the Forest, and No One Hears it, Does it Throw Shade? 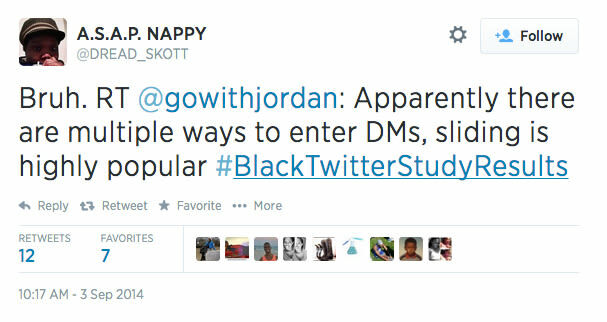 Chances are by now you’ve heard of Black Twitter. Maybe you’ve seen Issa Rae’s “Black Twitter Party” Video. Not sure? Take Complex Magazine’s Black Twitter Quiz. However, note, according to the website if you need to reference Urban Dictionary at any point during the quiz you’ll be disqualified. In other words, you’ll need to possess a very specific set of cultural knowledge to understand many of the jokes this quiz refers to, and most importantly to under the satire it is employing to make fun of the University of Southern California’s Annenberg Center for Media Studies, which recently released a proposal to do an actual study on Black Twitter, labeled DSAIL Black Twitter Project. 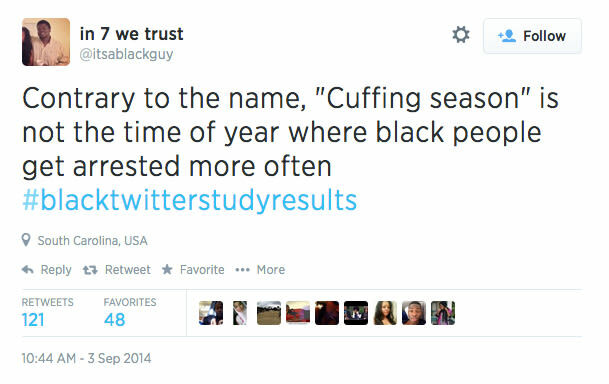 As you may be able to guess by the satire in the Complex article, the study was met with discontent by Black Twitter, expressed in it’s most popular form of venting, the satirical #hashtag based on black cultural black twitter references. Of course, as always there was also more serious commentary on the subject, with some participants in Black Twitter feeling as though this study came at the end of a long line of the historical spectacularization of blackness under the white gaze. In his article for NPR, “How Black People May or May Not Use Twitter,” Sam Sanders highlights many very similar reactions to Slate Magazine’s article “How Black People Use Twitter.” Danielle Benton and Baratunde Thurston both argued that the things black people do or talk about on twitter are no different than those of any other demographic, but, according to Thurston, they stand out simply because they are not “mainstream,” or in other words, 40-year old white male technologists. This argument is interesting given that he was quoted in the original Slate magazine discussing “blacktags” (black hashtags) as a new form of the Dozens, a black cultural oral tradition of one-upping insults on one another, usually in front of an audience. There are many similar arguments about the contextualization of Black Twitter discourse in the history of African American language practices. In his chapter “Taking Black Technology Use Seriously: African American Discursive Traditions in the Digital Underground,” in Race, Rhetoric and Technology: Searching for Higher Ground, Adam Banks argues that African American language and discourse thrives in online spaces, as he found on the site Black Planet. Part of his argument is that black online discourse is rooted in oral traditions in African American language such as call and response, signifyin’, exaggerated language, punning, and more. André Brock expounds specifically on the practice of signifyin’, arguing that this twitter practice can be seen understood as a discursive, public performance of black identity (Brock, 537). 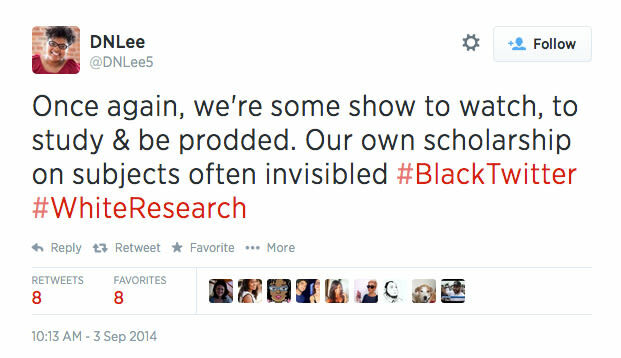 Brock believes that twitter’s design and character limit actually encourage the performance of blackness and the use of African American styles of language, creating a unique space for black identity. In this way, we may be able to say that Black Twitter has achieved what Ernesto Priego describes as self-determination, or “the freedom of misrepresented individuals and communities to determine their own online content” (Priego: 2011). Banks situates black online discourse in the concept of the “underground” which, like the underground railroad, describes places and practices that go unnoticed, even though they may be occurring in plain view. This has most often been highlighted in the black discursive spaces created by the barbershop, beauty salon, and the black church. However, Banks argues that these underground cultural practices are not limited only to physical space, but can also be found in technologies and networks. In her article for the Washington Post, Soraya McDonald describes Black Twitter in a very similar way, noting that the large number of black twitter users means that “a community has evolved online to reflect one that has long existed offline. The difference is now it’s out in the open for anyone to observe” (McDonald: 2014). This visibility, though perhaps annoying for some users when white media attempts to study or create a spectacle out of it, is also what gives Black Twitter tangible, social activist power. McDonald cites many instances, such as the canceling of the book deal of Juror B37 in the George Zimmerman trial, in which Black Twitter was instrumental in real life issues. Black Twitter also has a demonstrated potential to organize users around important social justice causes using hashtags such as #solidarityisforwhitewomen, #justicefortrayvon, and more recently, #iftheygunnedmedown and #Ferguson. Still, Black Twitter’s hashtags are often highlighted for their witty humor and unforgiving reads of celebrities and mainstream media, some of the most memorable being #PaulasBestDishes, #abcreports, and #TimeTitles. Although these hashtags are humorous, they are usually sparked by a genuinely offensive, or even racist, incident, and can be seen as social commentary about larger issues surrounding race, stereotyping, and microagressions. In his book How to Be Black, Bratunde Thurston quotes Christian Lander, creator of Stuff White People Like who argues that satire is essential to talking about race because it creates a comfort that opens up dialogue (Thurston, 229). McDonald agrees, noting that “unvarnished anger isn’t very effective; it’s too easy to dismiss as an emotional and irrational response, and it’s exhausting. But when humor accompanies it, the whole message seems to stick” (McDonald, 2014). This unique creative wit blurs the lines between comedic relief and social commentary on Black Twitter, and its visibility and seemingly exponentially increasing cultural influence will continue to make it one of the hot topics when discussing the intersections of race and technology. Is satire conducive to serious conversations about race? Does it trivialize the subject, or make non-people of color feel justified in racial jokes? Who are the jokes/social commentary directed to? If only people who have spent significant amounts of time socializing with black people will have the cultural knowledge to understand the references in these hashtags, how can others learn from it? Banks, Adam. 2006. “Taking Black Technology Use Seriously: African American Discursive Traditions in the Digital Underground.” Race, Rhetoric, and Technology: Searching for Higher Ground. Mahwah: Lawrence Erlbaum Associates, Inc. 68-85. Racial profiling is a loaded term. The practice of law enforcement and other individuals purposefully monitoring people of color or other marginalized groups because of preconceived notions of them being a higher security threat is normally associated with border patrol, stop and frisk laws, and shoplifting. However, in this new digital age, racial profiling is not only happening in person, but it is carried out on various Internet platforms. Despite claims that the Internet would be the great equalizer of our society as outlined in John Perry Barlow’s email manifesto “A Cyberspace Declaration of Independence,” existing structural oppressions that have been reconfigured to fit within the space of the Internet have made the Internet a breeding ground for social inequality. These inequalities include disparities in ability to access digital tools and how people are able to represent themselves on the Internet. Not only is this an issue of security for individuals, but this is also an issue regarding self-representation. Names and the act of naming are so important to our society; names allow for common understandings and imbue the people, places, and objects in our lives with meaning. Washington Post feature writer Jane Leavy says, “Naming is a privilege of reason and the province of bullies. We name to tame and to maim; to honor the great, the dead, and ourselves.” The names written on one’s legal documents may not be representative of their actual lived experience. In addition, names that aren’t traditional are the beginnings of the stories that are often left untold in mainstream American society. By allowing algorithms designed by white men in hoodies to determine the ‘realness’ of a name, we are allowing them to “tame and maim.” They are taking away the ability for individuals to “honor; I do want to point out one glaring inconsistency in Facebook’s policy. Their name change policy says, “The name you use should be your authentic identity; as your friends call you in real life.” Facebook officials maintain that the aim of their site is to “be a community where people use their real identities.” However, authenticity cannot actually be achieved until people are able to represent themselves as they see fit. One of the early responses to Facebook’s name change policy was the social media site Ello. This site, created by queer white males, seems to be a safe haven for individuals harmed by Facebook’s policy, but the premise of the website is exclusionary. The fact that users have to be invited by other users creates a dynamic “who knows who” dynamic. I do have to applaud Ello’s efforts to be a “public benefit corporation.” Recently, in an Al Jazeera article, Amel Ahmed writes that Ello is committed to being “ad-free and not sell user data.” This is an amazing step in the direction of user agency on the Internet, especially given the Electronic Frontier Foundation’s letter to Facebook. The racial profiling as a result of names brings me to a larger conversation that needs continued discourse. Racial profiling and self-representation are tied not just to the name an individual has on their profile, but one’s entire Internet presence. In class we discussed Airbnb’s price disparity among people of color and white users. There is also something to be said for the various parody accounts created on Twitter and Vine that appropriate elements of ‘black culture’ and use it for entertainment. Finally, how these questions of self-representation differ depending on the social media site one is on. For example, one person’s profile on Facebook versus their profile on LinkedIn may have different aspects of their personas emphasized. In closing, I would like to emphasize how cool it was to see Facebook responding to its name change policy after a grass-roots type movement from drag queens. Collins, Jareb. “The Art of Self-Representation.” LinkedIn. N.p., 2 Aug. 2014. Web. 27 Oct. 2014. <https://www.linkedin.com/pulse/article/20140802191728-217555853-the-art-of-self-representation&gt;. “Dear Facebook: Sorry is a Start. Now Let’s See Solutions..” Electronic Frontier Foundation. N.p., n.d. Web. 27 Oct. 2014. <https://www.eff.org/deeplinks/2014/10/dear-facebook-sorry-start-now-lets-see-solutions&gt;. “Ello’s new legal status leaves questions unanswered | Al Jazeera America.” Ello’s new legal status leaves questions unanswered | Al Jazeera America. N.p., n.d. Web. 26 Oct. 2014. <http://america.aljazeera.com/articles/2014/10/24/social-network-ellosnewlegalstatuspartoflargertrend.html&gt;. Nichols, James. “Facebook ‘Name Change’ Policy Disproportionately Affecting LGBT Community (UPDATE).” The Huffington Post. TheHuffingtonPost.com, 15 Sept. 2014. Web. 26 Oct. 2014. 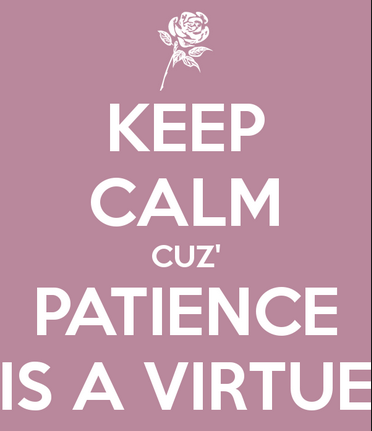 <http://www.huffingtonpost.com/2014/09/15/facebook-name-change_n_5824836.html&gt;. During the month of September 2014, Facebook began to suspend the accounts of several drag queens in the San Francisco area. Since its inception, Facebook has operated by requiring users to provide their real names, which has led to problems in the past as well. When Facebook chooses to purge accounts, however, the site has a “long, constantly updated ‘blacklist’ of names that people can’t use,” according to a 2009 USA Today article that details the problems that this policy can cause for individuals with unusual names. This particular policing of online identity created controversy last month as these drag queens publicly confronted Facebook, charging that the social media company was forcing drag performers to change their names on the site or lose their personal Facebook accounts. Facebook, by MoneyBlogNewz on Flickr. Used under CreativeCommons fair use guidelines. My project will focus on the racism in Japan through analyzing the recent prevalence and increase in the case of hate speech. This is quite meaningful and important topic as it contradicts with the fact that Japanese government, companies, and universities are trying hard than ever before to promote foreign workers and students to join their community. This project will try to draw out the concept of race in Japan, which is very different from that of the U.S.A., and how it is ｒelated to the representation and rhetoric of the hate speech. Racism toward non-Japanese, especially permanent ethnic Korean residents, is not a new phenomenon. Discrimination of Korean residents has always existed since the beginning of the 20th century when Japan colonized Korea. However, the concept of “hate speech” has only been shared and used widely among people and media since 2013, as the anti-Korean rhetoric on-line started to emerge on the off-line public space. What is significant about this phenomenon is that the discussion about race was brought up on the table finally that it has been hard for anyone to ignore to face the root of this problem, which the society always carried but was recognized only among particular people, such as Korean residents themselves or their supporters. How does race matter to Japan, where many people still think it as a homogeneous country? If the “color of the skin” is the same, why is it important for the racists to distinguish the race of ethnic Korean from Japanese? Is there a difference between anti-foreigner and racist attitude? Is it really racist to exaggerate the difference between Japanese and other race/ethnic/nationality? Through the project, I would like to explore the concept of race in Japan by comparing it with the U.S.A. Here is a TV commercial by All Nippon Airways which arose much controversy as being racist especially among non-Japanese residents in Japan, and also surprised the world as one of the biggest airline companies in Japan could produce such commercial without considering the reaction and impact they will receive internationally. This incident tells how naive Japan is regarding the topic of race and racism. Zaitoku-kai uses apparently racist words. However, I assume and will try to confirm through the project that Zaitoku-kai lacks, or Japanese as a whole lack an clear concept of race and racism. An article of The New York Times states that “Though some here compare these groups to neo-Nazis, sociologists say that they are different because they lack an aggressive ideology of racial supremacy.” In his reportage of Zaitoku-kai, Yasuda (2012) argues that fro the members of Zaitoku-kai, their aggressive rhetoric is rather performed to radiate their frustration towards the society, which has been diminishing political and economic status internationally, facing many social issues, and losing the traditional value which is leading the individual to isolation in the. 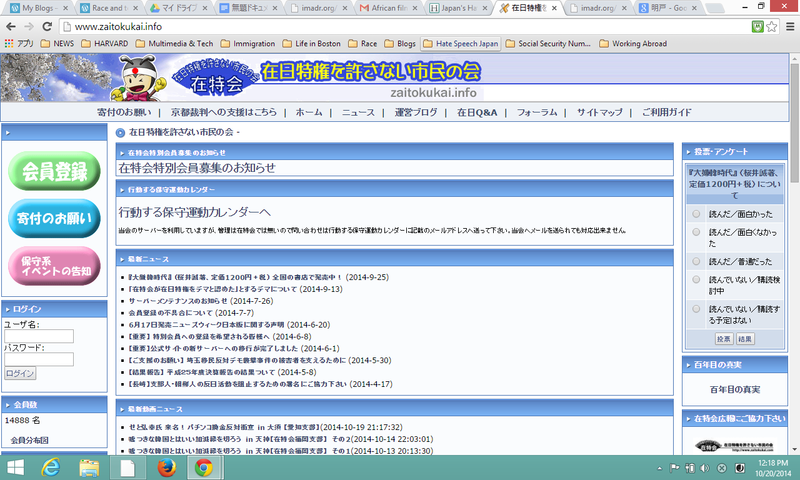 “Net Right Wing” organization Zaitoku-Kai’s website. The website design is quite simple, but has already attracted 14,000 members. Japan does not have any law that regulates hate speech. The need to establish regulations against hate speech and hate crime has been brought up, but many argues “the freedom of speech” on the constitution, which is a similar discussion in the U.S.A. According to Akedo (2014),as Japan entered the World War by regulating the speech, people are careful about the regulations of hate speech as it could be expanded to regulate many different types of speech. However, as Morooka (2013) insists the need to set the regulations and argues the importance to focus on the severe mental effect of the targeted victims.This summer, Japan got recommendation and suggestions from the UN Human Rights Committee to “develop concrete plan and carry out comprehensive education programme for the elimination of discrimination.” In the project, I will also focus on the discussion about regulations and the government’s reaction. Recently, I attended a meeting at Harvard where students who received the threat emails gathered. There, I could recognize for the first time how those words toward particular group of people could actually threaten the individual, as the students there complained with tears their fear to walk out side. The speech of Zaitoku-kai is extremely indecent and filthy that you cannot stand listening to it after few minutes. I can now better imagine the enormous effect the targeted victims will experience, which is too dangerous to ignore. Koichi, Yasuda (2012). Netto to Aikoku : Zaitoku-Kai no “Yami” Wo Oikakete [Net and Nationalism- the “darkness” of the Zaitoku-Kai.” Kodansha Publish. Morooka, Yasuko (2013). Heito Speech Towa Nanika [What is hate speech]. Iwanami Shinsho Publish. 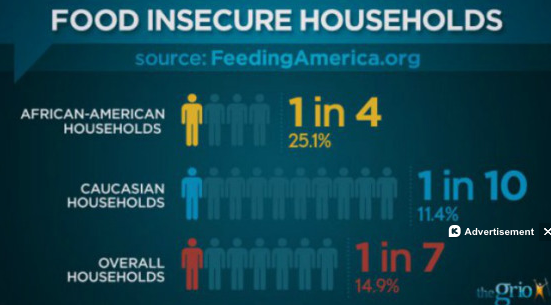 We know that 1 in 6 Americans do not have enough food to eat. We know that food deserts are a real problem in America- places where the nearest grocery store is more than a half mile away, posing a considerable barrier for people without cars or sufficient public transportation, and where the nearest nutrition comes from fast food restaurants and liquor stores. So while we know we have more resources and capacity to do something than ever before, we do not quite know how to go about using those resources on a national scale. I intend to investigate how technology can be harnessed to alleviate food insecurity and eradicate nutrition deserts in America. How can we harness the power of technology to educate and coordinate nutrition for everyone, leaving no demographic underserved? My plan is to document the most promising technological interventions currently being created and implemented. For example, we know certain interventions, like more public transportation, and more available nutritious food, are valuable. But how can technology improve peoples’ access to transportation and nutrition? After some initial digging on google, it is clear innovators are starting to create solutions, like food trucks and mobile markets, apps, and other innovative approaches to using technology to eradicate food insecurity. 3) explore challenges and limitations that might get in the way of scaling these interventions nationally. I will use the sociological lens of race and technology to analyze and recommend solutions. First, I will further research to what extent are people using technology to address hunger? Second, I will infer from this research how technology could be used even more, and identify potential sociological complications- would cultural traditions need to be changed and people reeducated about healthy food choices? 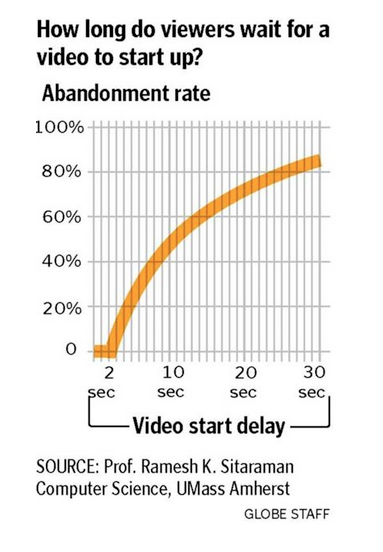 How could technology help expedite that reeducation process? Do such approaches sustainably empower the disadvantaged, or reinforce racial disparities? Specifically, I will select two or three of the most promising technological interventions, for instance an app and a social-media-driven mobile market movement, and interview their creators and other leaders of the food-technology movement, asking them to what extent technology is enabling them to address hunger, and what hope they see for the future. Next, I will collect data on the feasibility of scaling these approaches nationally, i.e. are they worth it and would they be sustainable? I will use Medium.com to create a story with pictures, because I believe pictures are powerful instruments of change, and I know people remember stories. Medium is a multimedia platform that will allow me to tell a logically-ordered story with words and pictures. I will use it to highlight the problem, to highlight technological solutions, to highlight hope and challenges for the future, and to imagine what is possible. Food + Tech Connect. Food + Tech Connect, 2014. Web. 20 Oct. 2014. “Food Access Research Atlas.” USDA Economic Research Service. USDA, n.d. Web. 20 Oct. 2014. Food + Tech Connect. Food + Tech Connect, 20 Nov. 2010. Web. 20 Oct. 2014. GREENSBOROOBSERVER. “A Developer’s Approach to Solving Food Deserts – Part One.” Greensboroobserver. Word Press, 23 Mar. 2014. Web. 20 Oct. 2014. “Hunger & Justice Quotes.” Stop Hunger Now. Stop Hunger Now, 2014. Web. 20 Oct. 2014. 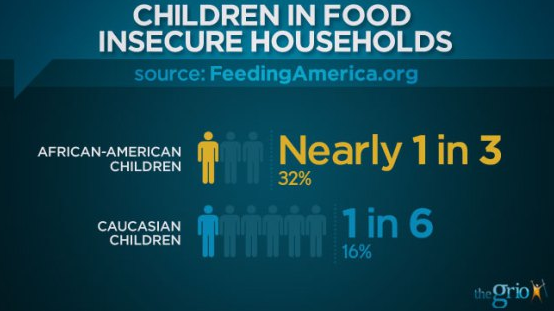 “Hunger in America: Food Insecurity Disproportionately Affects African-Americans.” TheGrio. N.p., 2014. Web. 20 Oct. 2014. J, Garry. “Cbs Documentary Hunger in America (1968).” YouTube. YouTube, 12 Mar. 2014. Web. 20 Oct. 2014. Lazarus, Paul Osinachi. “Food Desert App: User Study Design.” Paul Osinachi Lazarus. Paul Osinachi Lazarus, 2014. Web. 20 Oct. 2014. “Map the Meal Gap.” Feeding America. N.p., n.d. Web. 19 Oct. 2014. McMillan, Tracie. “The New Face of Hunger.” National Geographic Magazine. National Geographic, 2014. Web. 19 Oct. 2014. “Medium.” Medium. N.p., n.d. Web. 20 Oct. 2014. Sketch Factor, Redlining Neighborhoods Near You! Redlining, the practice of charging more for services or denying jobs to people in particular areas, was defined by sociologist John McKnight in the late 1960s. It was used to describe areas where banks refused to invest based on the red lines drawn on maps that demarcated areas of low-income minority families. The United States has experienced significant growth since McKnight’s coining of the term; however, redlining is still a debilitating presence in the fight against racism today. Over the years, redlining has become less discernable but it still influences the levels of interactions between people in society. Today, redlining is occurring under the mask of new forms of technology, either intentionally or unintentionally, that pride themselves on accessibility and customer care. Sketch Factor, a crowdsourcing application for smartphones created by Allison McGuire and Daniel Harrington, has recently emerged as one of the clearest reinforcements of redlining in current times. The purpose of the app is to share user testimonies and descriptions of neighborhoods to provide background information on a particular area. This is intended to increase safety and comfort while venturing into regions that are unfamiliar or foreign. Users are given options to rate cities or areas based on their degree of “sketchiness” which is solely based on the user’s perception of the area that they are in. As one might assume, similarly to the majority of critics, the app has implicit racial biases and discriminatory views that are perpetuated to all users of the apps. The video below touches on the flaws in the apps intended consequences, which is what I plan on diving into with greater detail. As seen in the video below, the application appears to be predominately centered on the wandering white protagonist who looks to the app for reassurance or warning. There is one person of color in the video, and he is portrayed in a comical manner. The video served as a teaser for the app before its release, and though the creators claim to have no intention to circulate racist or classist sentiments, the choice of actors present a different viewpoint. The creators of the app feel justified in it’s probable correlation with racist beliefs simply because they feel as though they have made efforts to encourage people to not be racist when using the app. The creators stated that if someone found themselves in a neighborhood with people that looked different than they did, it would be important to wait and report “sketchy” rankings after seeing what actions were taken by the other person or group of people. If they began to harass you, then it would be okay to report the neighborhood is sketchy, but that should only be based off of actions as opposed to predetermined feelings. Although this sounds like a way to combat overtly discriminatory acts, in reality it’s impossible to actually keep track of whether users are detaching their inherent beliefs from their actual experiences. Allison McGuire argued that as far as she and Daniel are concerned, “racial profiling is ‘sketchy’ and [they] are trying to empower users to report incidents of racism against them and define their own experience of the streets.” However, that does not appear to be the situation that’s occurring on this app. According to an article by Kimberly Turner, “all of Atlanta is pretty sketchy” according to the app. There are also instances where people have used the app in ways that incite anger such as in the image listed below. The app’s unintentional consequences are clear cases of redlining. People are encouraged to avoid areas that are considered to be “sketchy” by users who are predominately privileged white Americans. The result is racial segregation with encouraged stereotypical undertones. In regards to the timeline, I plan on researching areas of Washington D.C, Chicago and Atlanta that are featured on the new application to determine how diverse inhabitants, which can be acquired through demographic databases. I would also look closely into areas that are dubbed “sketchy” by the app, so that I can investigate biases and correlations between predominately minorities filled communities and the communities that are described as sketchy. To add a layer to the analysis, I will also look at other examples of redlining such as Uber’s new delivery service (link) to shed light on other instances where smartphone apps have the ability to geographically label areas in a discriminatory fashion. Since the application has recently been released, I will approach the data from the app last to ensure that I have taken into account as much information as the crowdsourcing app has to offer at that time. My goal is to determine whether or not this app has the possibility to defy discrimination, an ideal expressed by its creators; and if it does, how will this influence our understanding of diversity and acceptance through technology? Parkinson, Hannah J. “SketchFactor City App Sparks Accusations of Racism.” The Guardian. N.p., 12 Aug. 2014. Web. “SketchFactor Teaser.” YouTube. YouTube, n.d. Web. 20 Oct. 2014. Schapiro, Rich. “Going to a Sketchy Neighborhood? New App Called SketchFactor Will Tell You.” NY Daily News. N.p., n.d. Web. 20 Oct. 2014. Cueto, Emma. “SKETCH FACTOR APP IS RACIST — NOT ON PURPOSE, BUT THAT DOESN’T MAKE IT BETTER.” Bustle. N.p., 08 Aug. 2014. Web. 20 Oct. 2014. “SketchFactor: The New App Enabling Racism, One Neighborhood at a Time.” YouTube. YouTube, n.d. Web. 20 Oct. 2014. Garcia, Arturo. “White Duo behind App to Avoid ‘sketchy’ Neighborhoods Is Shocked to Hear It’s Racist.” Raw Story. N.p., 07 Aug. 2014. Web. 20 Oct. 2014.